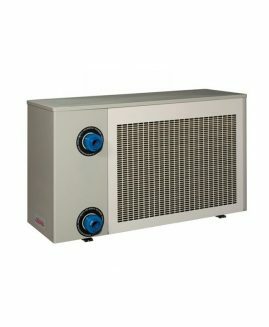 Air/water heat pump for heating pools with inverter technology. Private pools up to 80 m3. Inverter technology enables a heat pump to work on the power it needs depending on demand. This increases a facility’s efficiency, makes it less noisy and it consumes less. • The Pro-Elyo Inverter has been specially designed to work in temperatures as low as -10 ºC. • The inverter technology makes it possible to heat a pool with less noise and at a lower cost. • Its COP is up to 30% greater than a conventional heat pump. • It has 3 operating modes: powerful, smart and quiet.